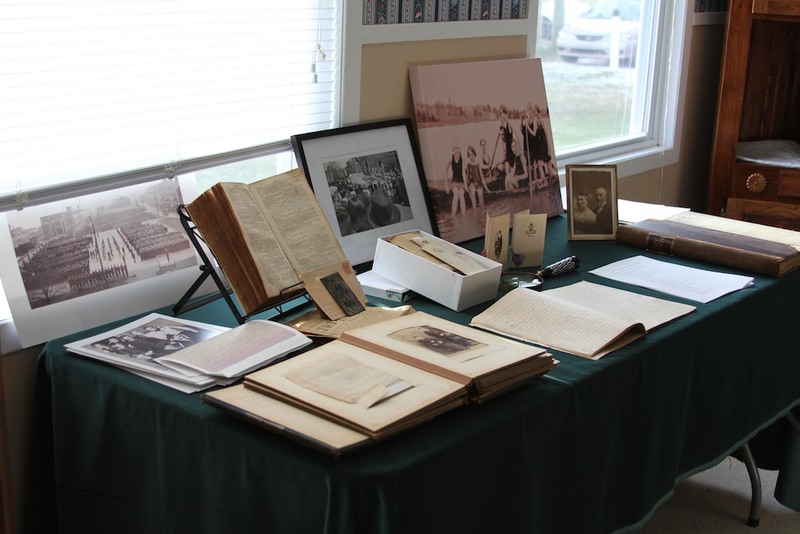 “Capturing Collective Memories” Open House, March 7th, 1:30 p.m.
All are welcome to attend an Open House for the “Capturing Collective Memories” project on Saturday, March 7th, at 1:30 to 3:00 p.m., Riverview Community Centre. We have been very busy over this past year digitizing photos, collecting artifacts and organizing events where we had the opportunity to collaborate on identifying photos and artifacts. There has been a dedicated group of history enthusiasts that have attended all our events and have contributed their extensive historical knowledge. Now we want the rest of the community to join us to see what has been achieved, so we encourage all ages to attend next Saturday. Digital display featuring our collection of digitized photos. We have now collected over 1500 photos. As part of the open house, we will highlight the activities and achievements over this past year. We encourage all that plan to attend to bring along any interesting heritage items they have in their own collection to exhibit. Extra tables will be available to display your items. This is a great way to invite others to help identify and offer more information on your heritage photos and historical treasures and mementos. This project is made possible with funding from New Horizons Program, Government of Canada.